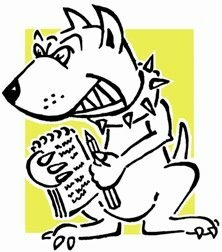 Last year Lobbydog attempted to find out which MPs had taken their resettlement grants on leaving the Commons at the election, and which had not. The reasoning behind the request was that there were some MPs who held very well paid private sector jobs and had no need for a hefty taxpayer hand-out to “adjust to non parliamentary life” – the rather spurious reason for the grant. But the Commons Authorities, despite having just been through the trauma of the expenses scandal, refused to reveal the information claiming it would breach data protection law. We complained to the Information Commissioner and after the watchdog’s intervention the Commons have now backed down. They are in the process of informing all former MPs who took the grant that their names will be released in a list to come some time in early April. It’s good the information is finally coming, but sad we had to drag it out of the Commons given everything that’s happened. Any businesses today are required to pay taxes to the government. Government is also making their steps to make sure that all business owners are doing their responsibility on paying taxes. If somebody's well being or life is at stake or if a prison state of affairs occurs that requires instant response, the priority should be placed on these situations.